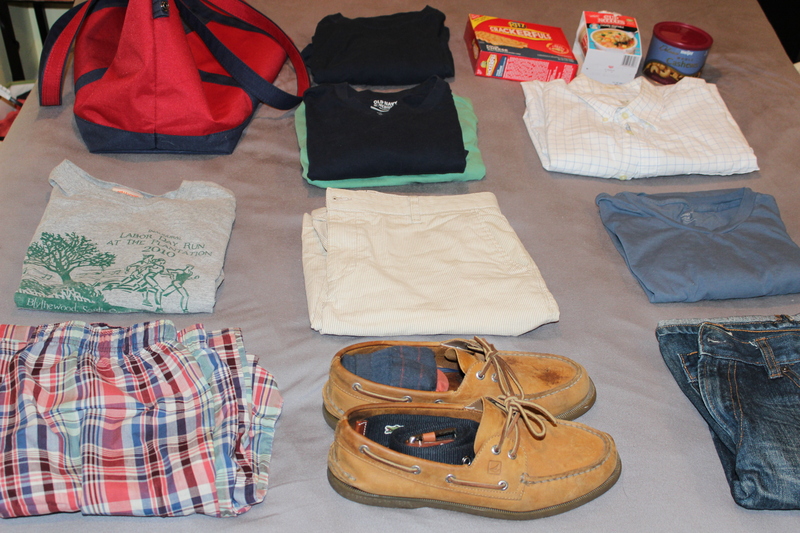 Packing for 13 hours in an airplane. 13 hours in a plane, broken into an 8 hour and 5 hour segment. The goal is to sleep as much as possible during the first leg and stay up during the second. You have a 7 hour layover during which you plan to walk around a foreign city. What do you pack? 1. Nalgene, UberLarabar x2, Larabar x2 travel dopp kit. 2. Headphones in a tangled mess, iPod touch, headphone splitter, iPod charger, Pens, Sleep-mask with earplugs. 3. Passport wallet, sunglasses, zip lock bags. 4. GQ, Runner’s World (Running Times could not be found… what’s up with that, Battle Creek? ), Backpack. It all fit pretty well. It was light enough to walk around Frankfurt with and small enough to easily stow underneath the seat. A few items I consider must-haves if you’re flying overnight: sleep-mask, earplugs, chamomille tea & and a pillow. Entertainment is secondary on a flight you need to sleep on. You want to limit your exposure to light/noise as much as possible to get your body to sleep, so the mask and earplugs are worthwhile investments. Chamomille tea packs fit easily in your dopp kit and flight attendants gladly bring you piping hot water. When you wake up, you can clean up with the facial wipes and it’s almost like you got a semi-decent nights sleep. 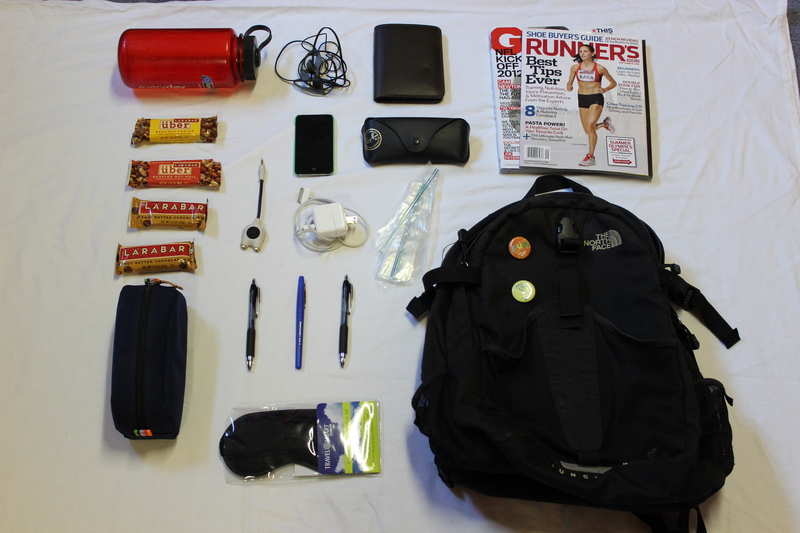 The focus for my carry-on was two-fold: clothes and food. I needed a change of clothes for Frankfurt (middle column), a change of clothes for the flight to Kuwait (right column – no shorts!) and some PJ’s that were easy to access when we got to Kuwait (left column). God Bless Sperry’s. In the upper-right hand corner you’ll notice some food. Ritz makes these amazing cracker sandwiches we just discovered and are a handy snack for planes and German streets. Next is a cup of soup, which is something I’ll pack for every single flight I’m ever on ever again. It’s amazing to be able to ask for hot water and make something to eat if you’re on any length or flight over 3 hours where they don’t feed you. Do this next time, people around you will be jealous. Finishing out our stowed-away snacks was a can of cashews. Salty goodness.